From the publisher: Ernest Hemingway’s classic memoir of Paris in the 1920s, now available in a restored edition, includes the original manuscript along with insightful recollections and unfinished sketches. Join over 240 subscribers when you sign up with your email address to receive news, updates, and exclusive giveaways from Hasty Book List. From the publisher: With courage, grace, and powerful insight, bestselling author Kristin Hannah captures the epic panorama of World War II and illuminates an intimate part of history seldom seen: the women's war. The Nightingale tells the stories of two sisters, separated by years and experience, by ideals, passion and circumstance, each embarking on her own dangerous path toward survival, love, and freedom in German-occupied, war-torn France―a heartbreakingly beautiful novel that celebrates the resilience of the human spirit and the durability of women. It is a novel for everyone, a novel for a lifetime. From the publisher: Monsieur Perdu can prescribe the perfect book for a broken heart But can he fix his own Monsieur Perdu calls himself a literary apothecary From his floating bookstore in a barge on the Seine he prescribes novels for the hardships of life Using his intuitive feel for the exact book a reader needs Perdu mends broken hearts and souls The only person he can t seem to heal through literature is himself he s still haunted by heartbreak after his great love disappeared She left him with only a letter which he has never opened After Perdu is finally tempted to read the letter he hauls anchor and departs on a mission to the south of France hoping to make peace with his loss and discover the end of the story Joined by a bestselling but blocked author and a lovelorn Italian chef Perdu travels along the country s rivers dispensing his wisdom and his books showing that the literary world can take the human soul on a journey to heal itself Internationally bestselling and filled with warmth and adventure The Little Paris Bookshop is a love letter to books meant for anyone who believes in the power of stories to shape people's lives. From the publisher: From the author of Immoveable Feast and We’ll Always Have Pariscomes a guided tour of the most beautiful walks through the City of Light, including the favorite walking routes of the many of the acclaimed artists and writers who have called Paris their home. 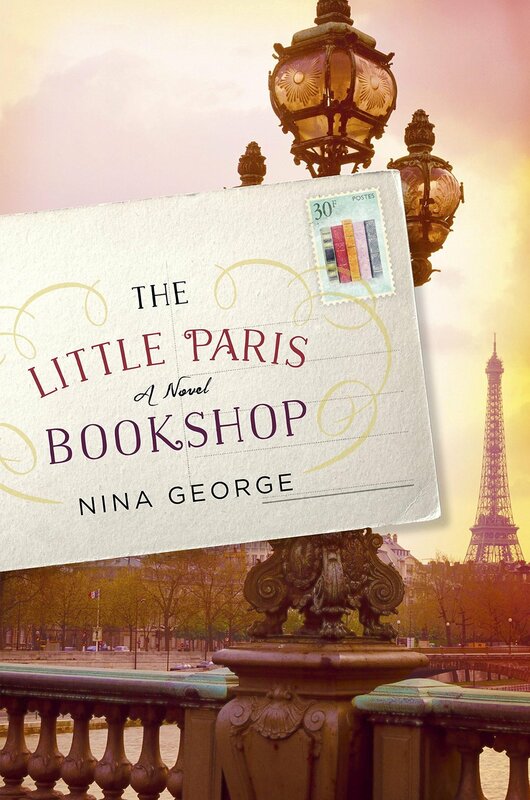 Baxter highlights hidden treasures along the Seine, treasured markets at Place d’Aligre, the favorite ambles of Ernest Hemingway, Gertrude Stein, and Sylvia Beach, and more, in a series of intimate vignettes that evoke the best parts of Paris’s many charms. Baxter’s unforgettable chronicle reveals how walking is the best way to experience romance, history, and pleasures off the beaten path . . . not only of La Ville-Lumière but also, perhaps, of life itself.